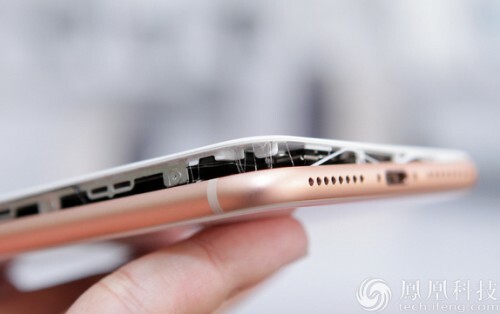 The recent reports showed that some iPhone 8 units experience a battery problem causing the devices to crack open. There were two posts on Twitter illustrating the issue happening to brand new smartphones. Both iPhones have been handled properly and charged with original chargers, but apparently, due to a factory defect in both cases the battery swelled up and cracked iPhone. BGR suggests Apple has its own team that monitors the first batch of iPhones for any issues that may put customers at risk. Such an approach helps Apple avoid scandals. The batteries for iPhone are made by the same company that produced batteries for notorious Galaxy Note 7, but this should not become a serious concern. Galaxy Note 7 battery explosions were caused by wrong design, not a faulty battery and as far as issues with iPhone are not widespread, chances are these cases have been last we heard about.